On the fifth edition of Furiosa, the burgeoning production team continues to provide some of the best shows for fans of local indie rock, shoegaze, post-punk, and other genres of that ilk. Cebu’s The Spirals delivered a brooding set dripping with atmosphere. There’s also this uneasiness that their music brings, which is heightened by the fact that you’re standing right in front of them, vulnerable. Sound Architects’ set also gave this feeling of vulnerability. We just stood in the dark and let the instrumental post-rock band’s pummeling waves of distortion engulf us. Ourselves the Elves are always a real treat to watch. They’re just so fun. At one point, vocalist and guitarist Aly Cabral admitted that she had run out of stage banter because they had been gigging non-stop. Maybe she had worn out her stage banter, but the band’s performance was still top-notch, something that we’ve come to expect from one of the most beloved indie bands in the local scene. Having seen The Rave Tapes during Furiosa’s second gig, we thought that we already knew what to expect. While their trademark sound was certainly there, they seemed heavier this time around. A feverish atmosphere was felt, and sometimes their depressive dirges felt overwhelming. In other words, it was a great set. Ending the night with our ears ringing was sludge metal crew Kapitan Kulam. 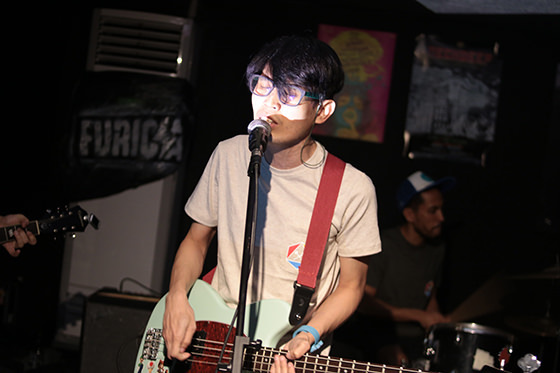 Aside from their usual primal sludge, the band also performed their first song with vocals (by Lourd De Veyra.) It’s a fast, punk song, obviously a different pace from their usual sound.